In this price range the mobile supports VoLTE and is stylish. It is also available in various color options. The device lacks screen protection and houses an average hardware which is not up to the mark. It is in budget and features many contemporary inserts VoLTE connectivity and ample battery capacity. With these features, the mobile is in a head to head race with Samsung J2. The new Gionee Pioneer P5L flaunts a 5-inch IPS display which has got HD resolution at 294 ppi pixel density. This device comes in varied colours - Black, Blue, Gold, Red, White and Yellow. It boots on Android lollipop operating system, which is outdated. Gionee Pioneer P5L features a 1.3GHz, quad-core processor backed by 1GB RAM and T720 MP2 GPU, which is flat. There are slight heating issues while intense gaming. It houses 16GB internally and can be expanded up to 128GB through a microSD card. The device comes with a li-po non-removable battery with a capacity of 2,300mAh which should works for a day. 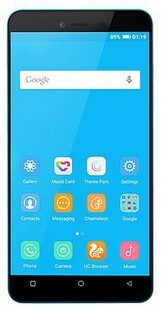 Gionee pioneer p5l lte full connectivity specification are 4G LTE, USB connectivity, Dual SIM connectivity, Wi-Fi with Hotspot, Bluetooth and GPS. However the lack of NFC is a drawback. This mobile gets sensors like Light sensor, Proximity sensor, Accelerometer and Compass. As for the Gionee pioneer p5l mobile camera details, it is equipped with an 8MP rear snapper with features like LED Flash, Auto Flash, Digital Zoom, Autofocus, and Face detection etc. Alongside the rear camera the 5MP selfie shooter captures beautiful images for selfie lovers. On a whole, This is a good product which comes VoLTE support in this price range. Gionee pioneer p5l price in india ranges from INR 7,449 to INR 8,108. For a best price tag buy online from Amazon. Want to see the best price for all other mobile? Then why late, Just visit Bestpriceon. Gionee Pioneer P5L LTE full specs and reviews as of Apr 2019. Buy it here!